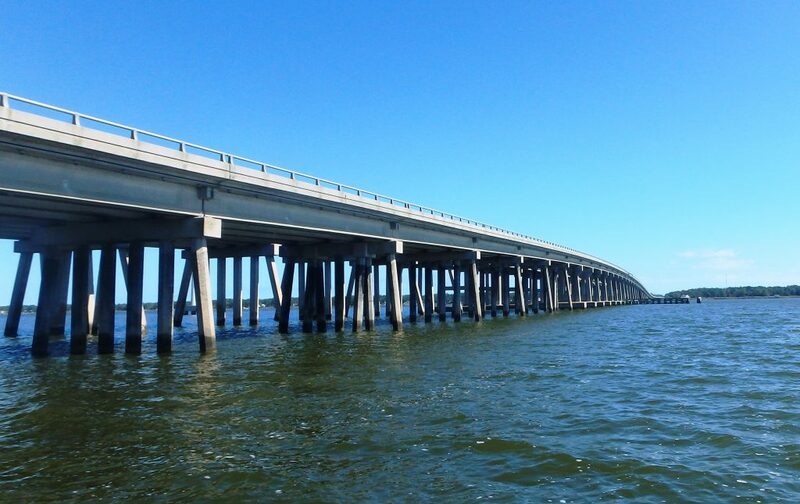 KCA is designing the rehabilitation of the 2.8-mile long structure carrying US 158 Eastbound over Currituck Sound from the mainland in Point Harbor to the Outer Banks. The bridge was built in 1966 and is comprised of 248 spans with prestressed concrete superstructure and a combination of pile bent and pier substructures founded on deep foundation prestressed octagonal piles. The repair design consists of galvanic cathodic protection of substructure bents, piles and footings, high ratio calcium sulfonate coating of existing bearings, extension of bearing repair areas, and concrete repairs throughout the structure. The project included coordination with NCDOT, who managed the latex modified concrete overlay on top of the bridge deck.